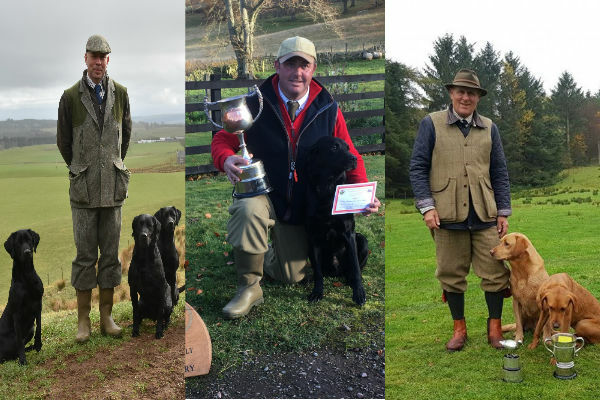 Chapel Farm Dog Food is proud to sponsor some very accomplished gundog trainers. We are delighted to note that all three of the Labrador handlers we sponsor who feed Chapel farm to their dogs have qualified to compete at this year’s IGL Championship which will be held at Packington Hall on the third, fourth and fifth of December. The photomontage shows from left to right: David Lisett, Lee Hartis and John Halsted. Our best wishes to David, John, Lee and all others who will be taking part at the Championship. To find out more about those we sponsor please select the “ABOUT US” tab above and click “WHO WE SPONSOR”.